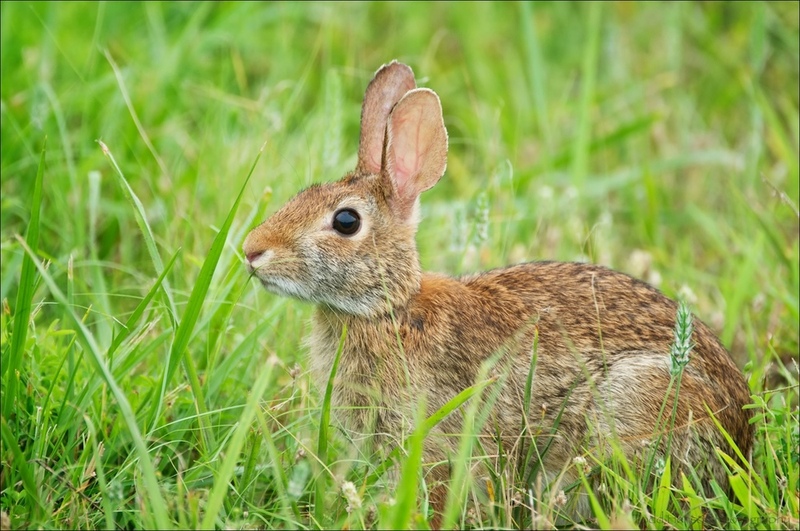 Eastern Cottontail are an extremely common rabbit throughout eastern North America. In some of the parks I frequent they are often found at the edges of trails eating grass and other greens. They've become so acclimated to people in the parks they can sometimes be approached extremely closely, though many times they do bolt into the brush or run down the trail in a zig zag pattern. When I find a cooperative one I enjoy getting down on the ground and shooting them at eye level. It often makes for a far more attractive background.